OUTLANDS presents a diverse programme of new commissions by innovative and uncategorisable artists working in and around, amongst and throughout experimental music and cross-disciplinary art forms. Countering genres and boundaries concerning style, instrumentation, and musical training, OUTLANDS aims to create ambitious and contrasting productions to intrigue, engage and inspire audiences. 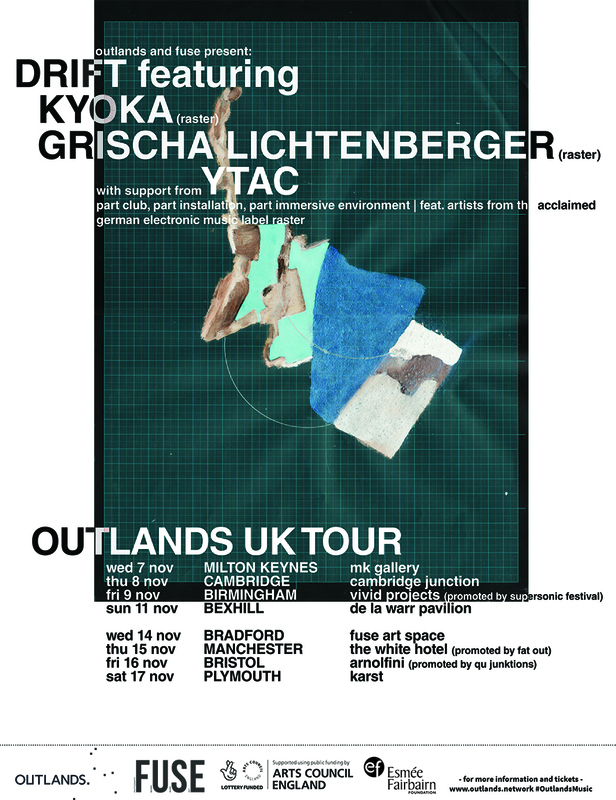 The OUTLANDS programme includes six flagship tours (three per year across two years), each showcasing new commissions curated and produced by one of the network's partners, and toured across eight regions UK wide.